Exclusive! Our Flattering Ponte Dress has style that's on point! 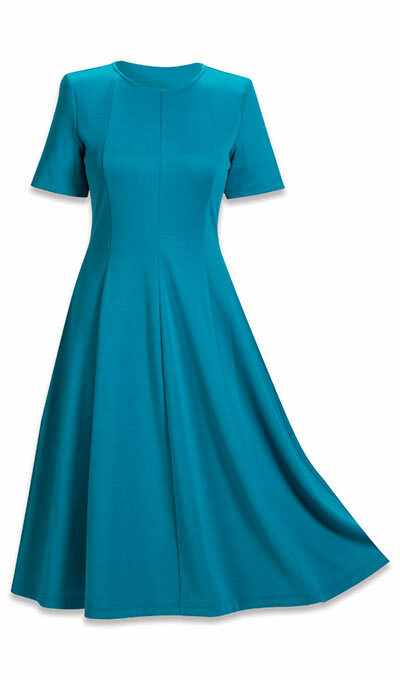 Gore panels provide great shape to this polyester/viscose/spandex knit dress, with a full and flowy sweep. Easy, pullover styling and scoop neck. Machine wash. Imported. Misses, approx. 45"l.